Materials : Enamel on Copper, Hematite, Black Coral, Pearls and Vermeil. 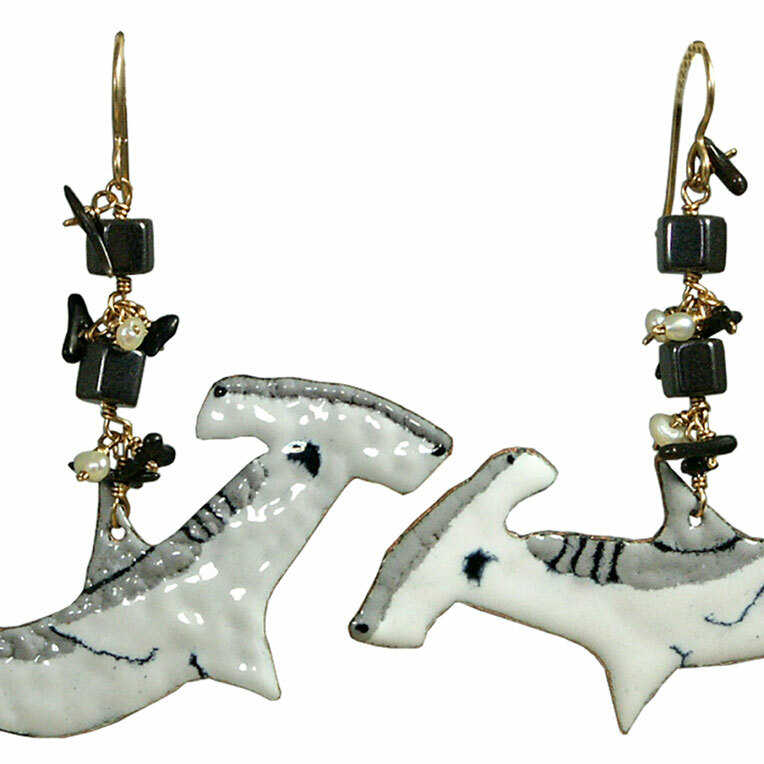 Size : 5 cm / 1.96" Long, Shark : 6 x 2.5cm / 2.36" x 0.98". The hammerhead shark is an old lone wolf, he walks the night in search of something to eat. But not anything, because if he can simply eat seafood, what he loves are far more dangerous prey: The shark and ray. 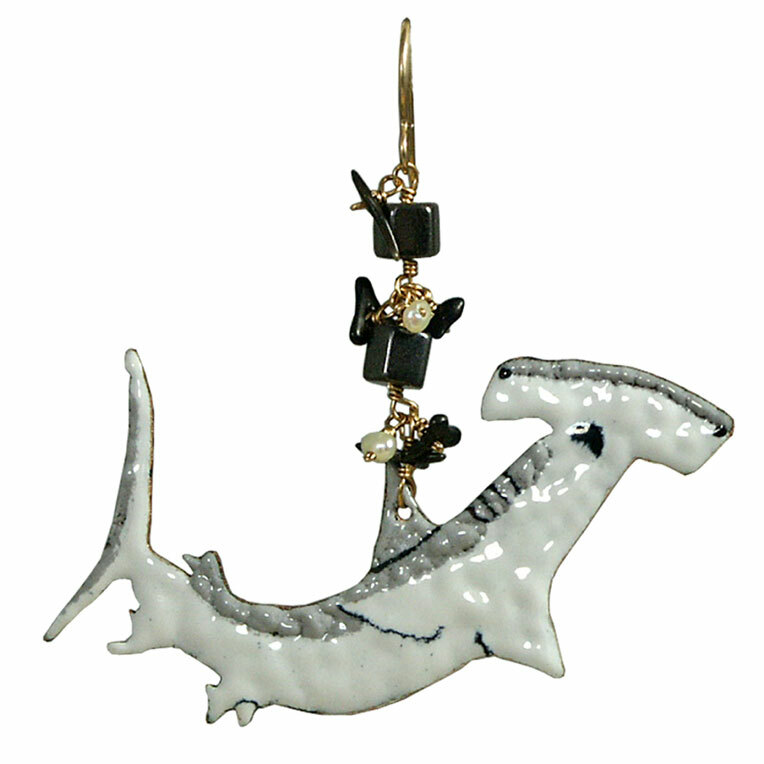 The animal is made of opaque enamel gray and white, placed on both sides of a copper plate. 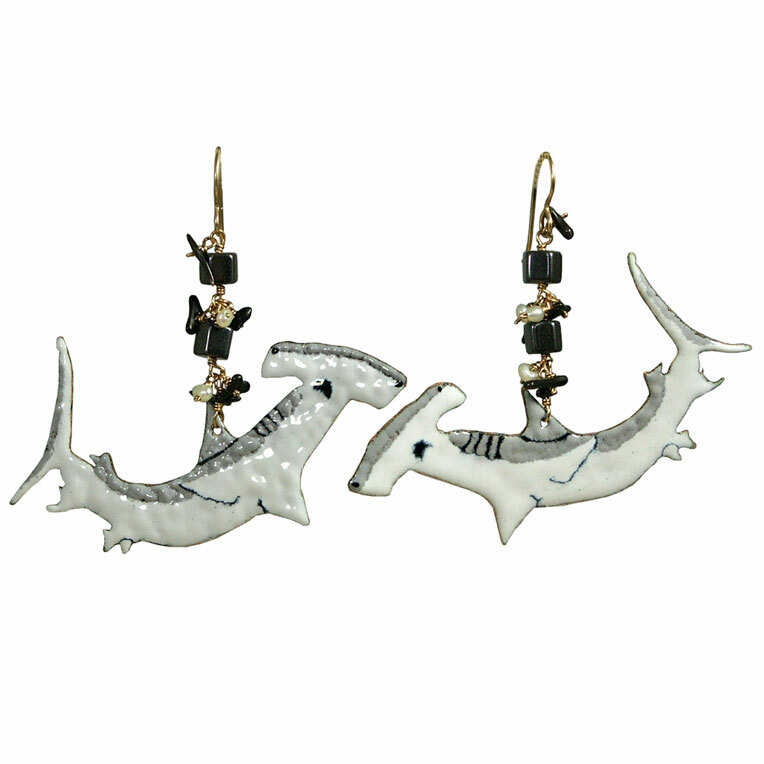 The shark is suspended with hematite, black coral and small white pearls. Hook in vermeil, small rubber stopper inclued. Unique piece.